Many drivers near Gretna, LA, area are beginning to look into Nissan Rogue lease deals. For some of these drivers, a lease is the perfect opportunity for them to get everything they want out of a vehicle. However, you should know that a lease isn’t for everyone. In fact, you may not be the kind of person who should lease. Instead, you may want to look into auto loans. Getting a loan can help you buy a car off the lot, and car ownership comes with a lot of benefits you won’t get to enjoy when you lease. Here are just some of them you should take into consideration when you are making this big decision. When you look for Nissan Rogue lease deals, chances are that you’ll notice you won’t have to put as much money down when you lease. The down payment is significantly lower because you are not putting money down for the total cost of the vehicle—just how much its value depreciates during the time you’re driving it. However, since you’ll always have a car payment, leasing isn’t the most financially sound arrangement in the long term. There are a lot of benefits that come with car ownership that you just won’t get with Nissan Rogue lease deals. For example, nobody can tell you what you can or can’t do with your car when you own it. You don’t have to follow any rules from the dealership, and you can take it wherever you want without any problems. If that sounds appealing to you, then you will likely want to sign an auto loan instead of a lease. There are also fewer restrictions you’ll have to deal with when you take out an auto loan from a dealership near Gretna, LA. You won’t have to think about a mileage cap, which is common when you decide to lease. And on top of that, you can make changes to your car whenever you want, so you don’t have to worry about keeping it in pristine condition so you can take it back to the dealership someday. 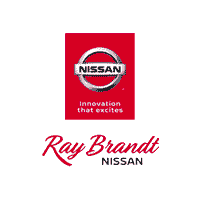 Whether you want to look for Nissan Rogue lease deals or auto loans, we can help you right here at Ray Brandt Nissan.